If you are entertaining, whatever the occasion, you and your guests will love to dive into one of our bespoke cake of cheese creations. We believe that every cake of cheese is as individual as the person commissioning it, so rather than a ‘from the fridge’ solution, we would rather invite you in for a tasting. 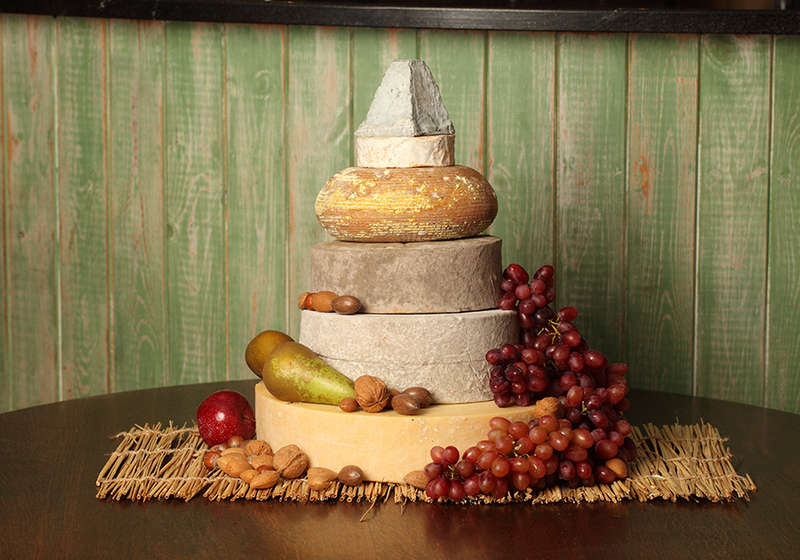 This allows you to hand pick your cheeses and talk through your ideas so that we create the perfect cake for your event. To learn more please complete this enquiry form and one of our dedicated team will be in touch shortly. In the meanwhile please follow this link to view an album of our cakes of cheese, click here.